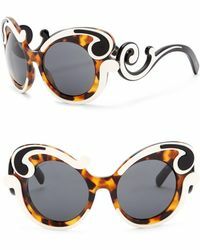 It’s safe to say that Prada Baroque sunglasses are not for the faint-hearted. 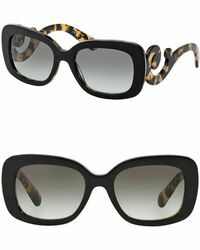 Eye-catching and exaggerated, this eyewear design has become one of the fashion house’s most iconic accessories. 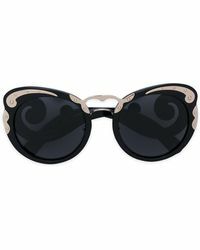 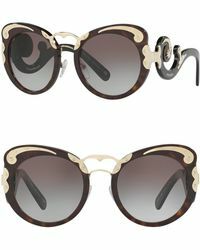 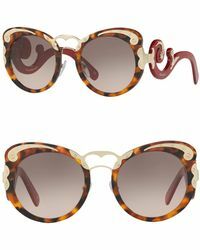 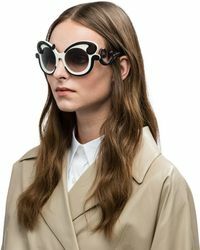 First launched in 2011, the Baroque sunglasses combine swirled lines with thick, oversized frames for a statement way to shield your eyes from sunshine. 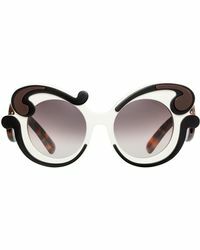 Choose from the original Baroque sunglasses for the classic design or the Minimal Baroque version if florals are your thing.